Questions and answer to better use Wordpress and customize it as needed. 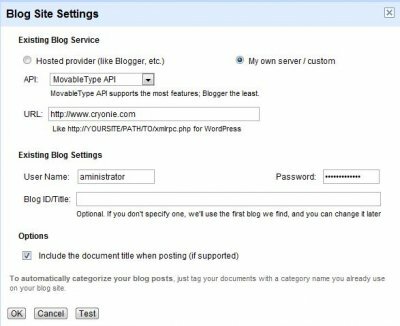 Wordpress by default displays last created posts. But if you've recently updated an article, because the topic is back in the news, you might prefer that this article is not buried in the depths of the site, but appears on the first page. This will also apply to the display by category. You can set the display format by giving it as a parameter to the function in a string. More detail in the Codex. The first step after installing Wordpress is to configure it to create pretty URLs. You can include the category to URLs but this has drawbacks and it is not the first choice. For more options, click on the info link in the configuration page. How to display summaries on the home page? after the first paragraph (it may contain an image). Or through the wysiwyg editor in visual mode, click on the icon that represents a splitted page. Since its version 2.6, Wordpress backup version of an article after every change, which usually has no interest and in certain scenarios may overload your database! If you change a text to add a comma, you do not need the text without the comma! How to delete the revisions? The suffix could be different of wp_ in your database (see wp_config.php). Save your database before to try the command. There is also a plugin, if you do not want to use SQL. Documents made ​​on line with Google Docs can be published as pages on your Wordpress site/blog. Look at the list of documents. In front of the page to post, open the list of actions and click on "Publish". A new page appears which offer to publish or Post to blog. Click on Post to blog. Or if your site has not been associated with Google Docs yet, click the command "setting".